The Mexican muralism was a social and political movement of resistance and national identity that was expressed through painting. The main subjects were the revolution, the class struggle and the indigenous men. It appeared in 1921 when José Vasconcelos, a great Mexican intellectual, assumed a political position and ordered the first government-backed mural program. 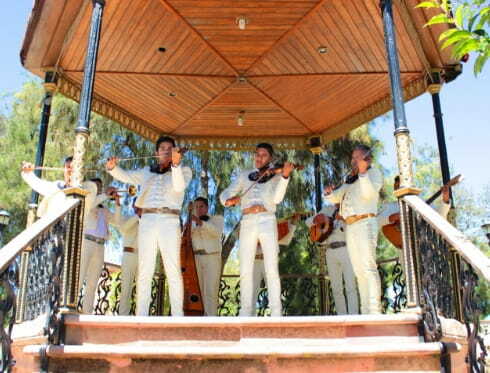 In México DF we find a large number of famous murals that you will be able to appreciate in a comfortable way with the panoramic tour hop-on hop-off México City Tour. La historia de México is one of the murals that Diego Rivera, a great Mexican artist and Frida Kahlo’s lover, painted in México City. The mural is divided into three sections: a pre-Columbian world, the effects of the Spanish conquest and the utopic Marxist revolution. Contemplate this work of art with the route Historic City Centre or Basilica, at Zócalo stop. José Clemente Orozco was another great exponent of this artistic trend. 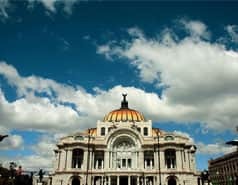 One of his most famous works, Katharsis, is displayed in Palacio de Bellas Artes of México DF. Katharsis expresses the hate for the cruelty and the corruption of the modern society. 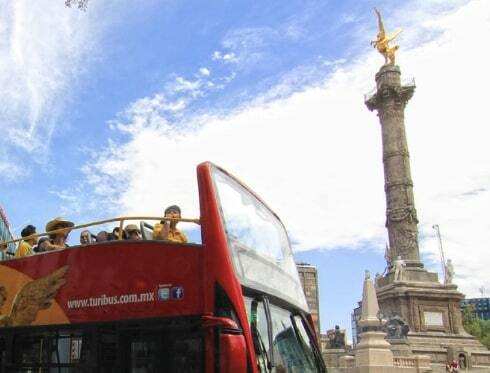 You will easily arrive to Palacio de Bellas Artes with our route Centro Histórico getting off at the stop 8 or stop 10. David Alfaro Siqueiros, with a political involvement that took him to the prison and to various years of exile, painted his biggest work at the age of 70. La marcha de la humanidad en la Tierra y hacia el Cosmos is located in the Polyforum Siqueiros and it is a metaphor of the desire of humanity for a better society. The mural covers 8000 square meters of the octagonal building. Access to it taking the route South and getting off at the stop 3. Be immersed in the Mexican revolution feelings with the most esteemed artworks of the Mexican muralism in México DF!